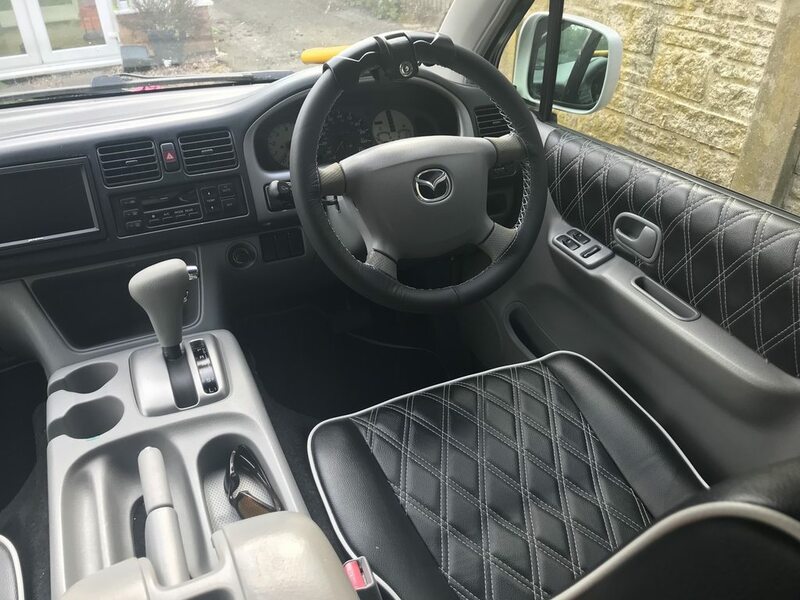 No, not Um Bongo - a Mazda Bongo! After a few people have asked for more detail and pictures of this when mentioned on my MINI thread. I have decided to start a separate thread for this. It's typically wordy and I know it's not going to interest everyone - but like I say - some people have been asking! I'd recently come into some inheritance and had decided to spend some of it on something I could actually enjoy. 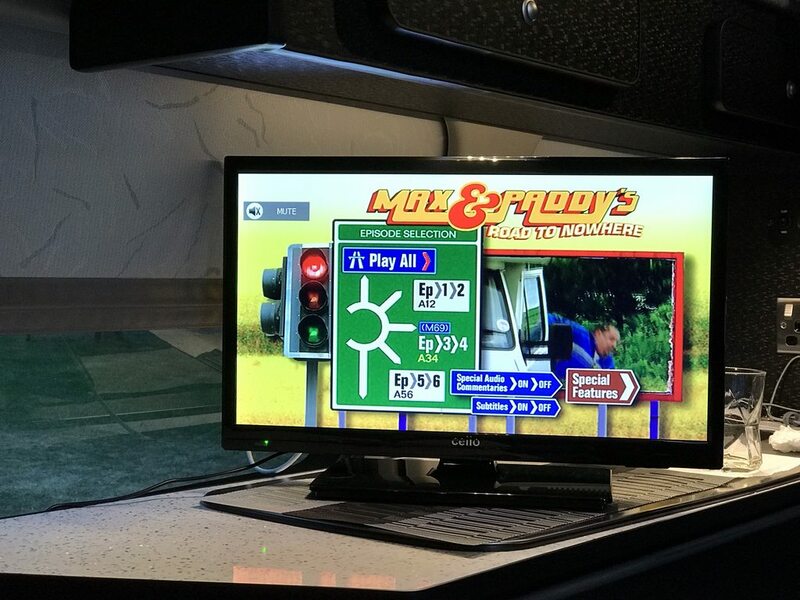 I had always liked the idea of a camper van - so began to research them. I had wanted as a VW as everybody does - but as some of you will be aware they are eye-wateringly expensive. 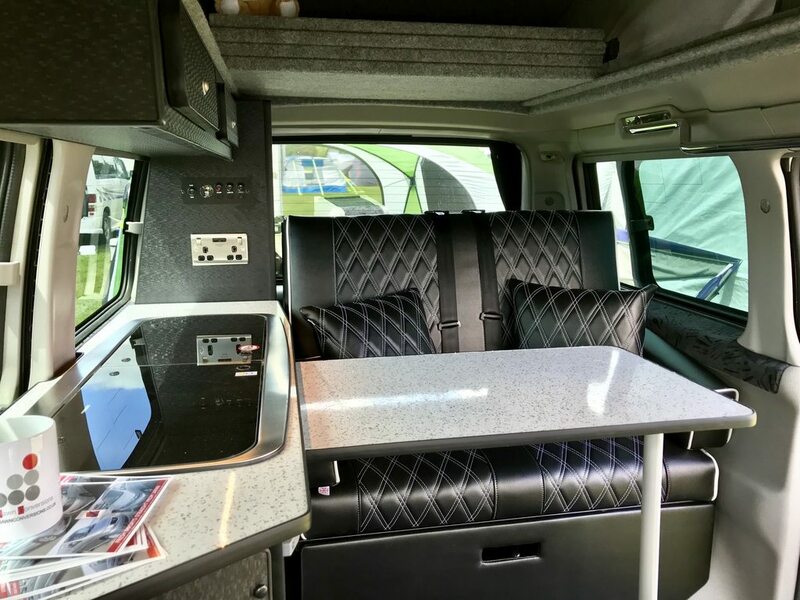 The California (sold as a ready converted camper) is a beautiful vehicle. But to give an idea of cost - a brand new one starts at over £56,000 (cheapest with a kitchen unit) and it's possible to spec it to over £80,000 although nobody in their right mind would go that far! Let's be clear here - at no point do I want to come across as anti-VW. I love them, I just can't afford one that I would want. The exact reason I drive a Discovery and not a Defender! If looking for a VW, my (not inconsiderable!) 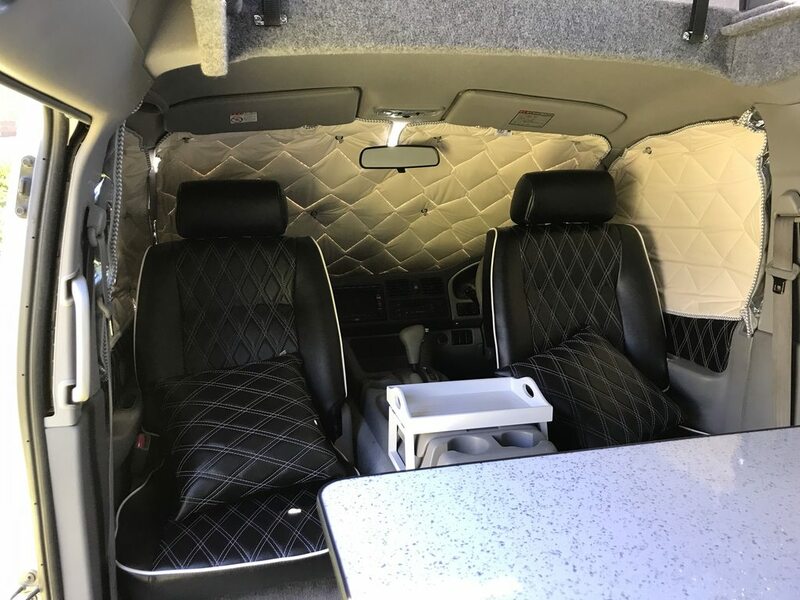 budget would have bought me a mid-90's to early 2000's home converted ex-builder's van with high mileage. Given that the MINI and Land Rover are both higher mileage vehicles which I maintain almost entirely myself - I decided that I didn't need a third vehicle in that category, especially as a minor breakdown could ruin a holiday. 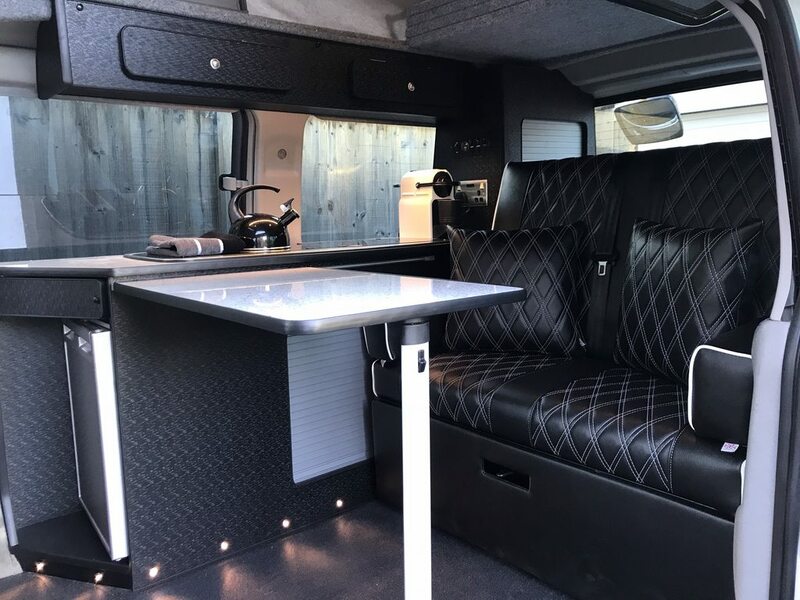 I also didn't want to look into converting a van myself - as I knew i'd make a complete a*** of it and be forever looking at the little mistakes I'd made. This lead me to look for alternatives. 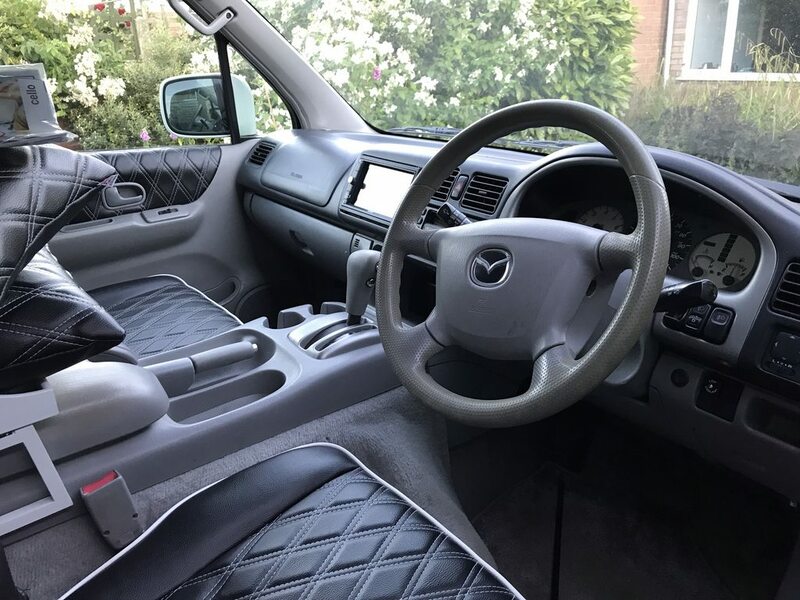 In short - there aren't many, but by far my favourite was the Mazda Bongo - providing it was the right spec. 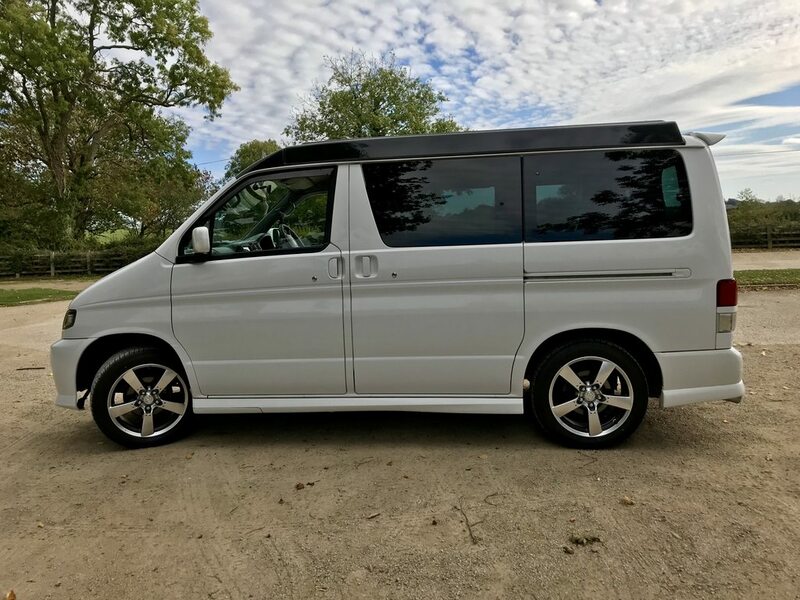 Happily - whilst my budget wouldn't get very much VW, it could however buy me the mother of all Bongo's! After a lot of research, I decided that I wanted one of the later face lifted vehicles as I much prefer the styling (Produced from roughly 2000-2005. Interestingly they only stopped making them because the factory burnt down!!!). I also wanted one with a petrol engine (either 2.0 4 cylinder or 2.5 V6) as the diesel is most susceptible to problems - there are also very few in face lifted form. Also, I've already got one clattery old diesel, I don't need another one. 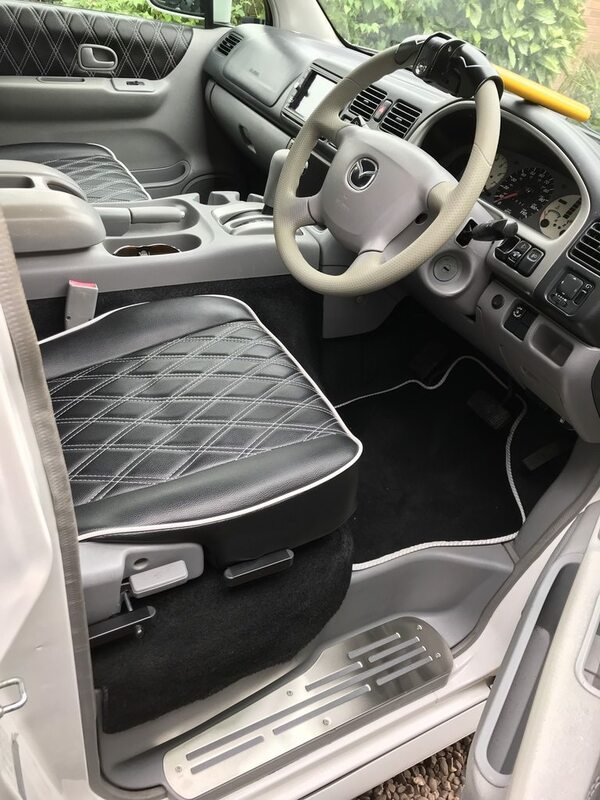 The Bongo wasn't sold in the UK, so all models are Japanese imports. It's quite an unusual vehicle. They were sold in two flavours - both a weird mix of MPV and campervan. 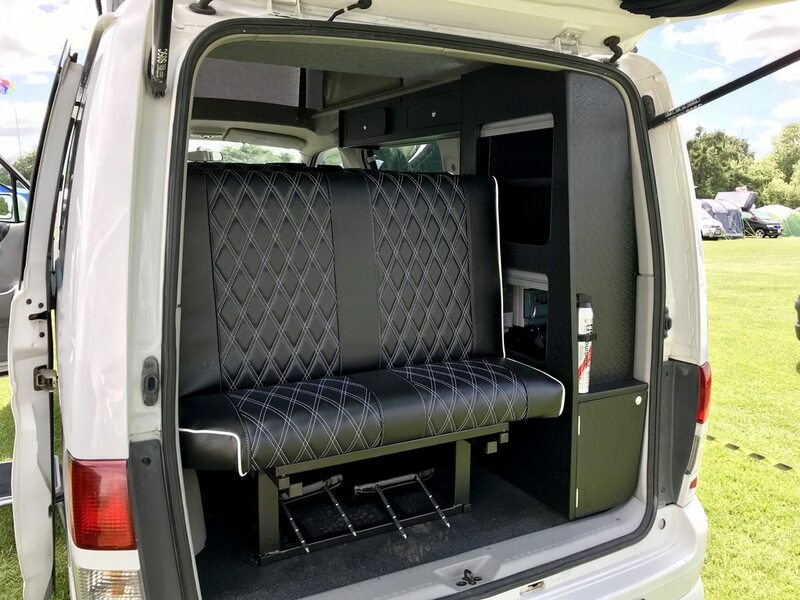 First is the tin top - an 8 seater where the seats fold into a (VERY LUMPY!) bed. They also have pull down blinds on the 4 side windows. 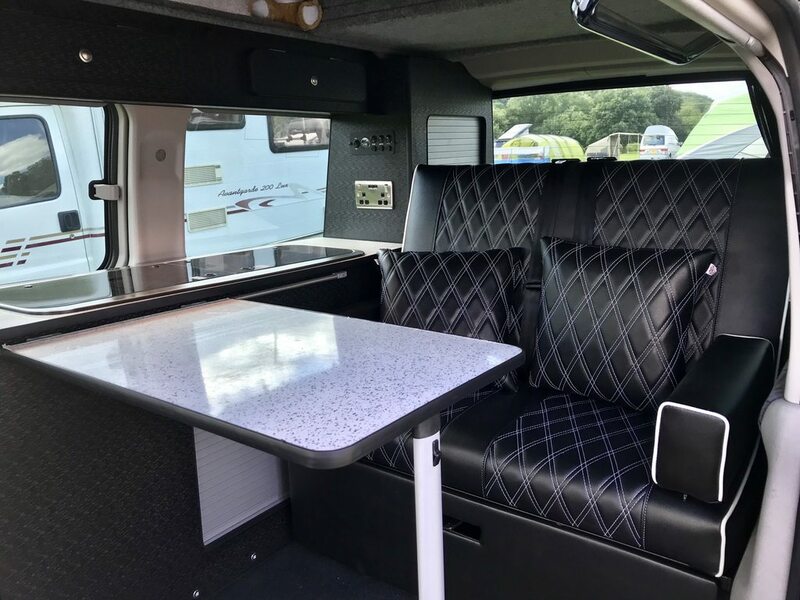 Then you have the Auto Free-Top (AFT) models which have an electrically operated pop-top roof which offers standing space inside and also turns into a bed for two - so you effectively have a 4 berth camper. Albeit a VERY cosy one! 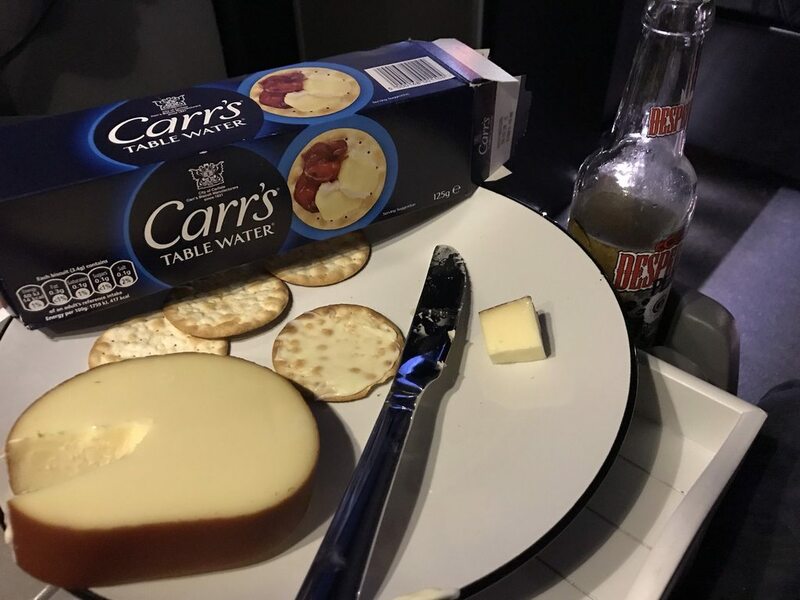 From new, you could option in a kitchen pod which replaced some of the seats - but this was rare and also not very attractive. 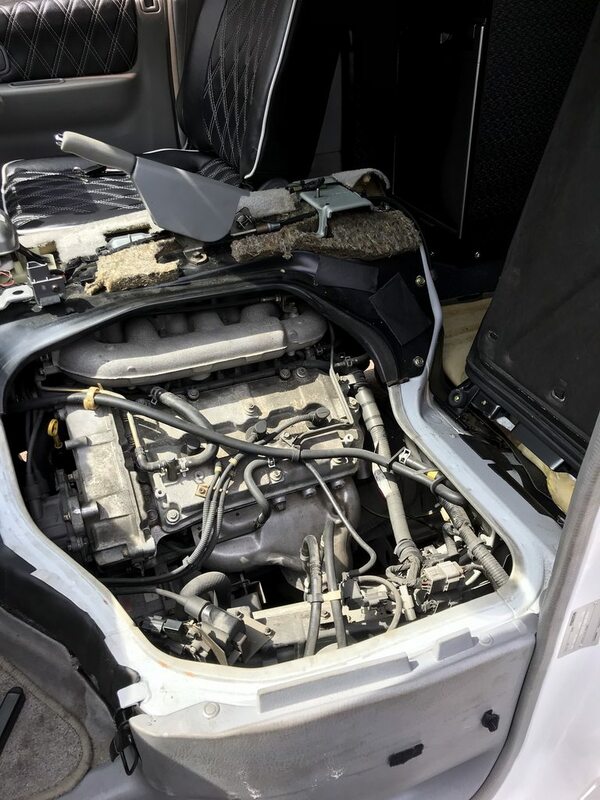 The engine is mounted between the front seats and not under the bonnet. 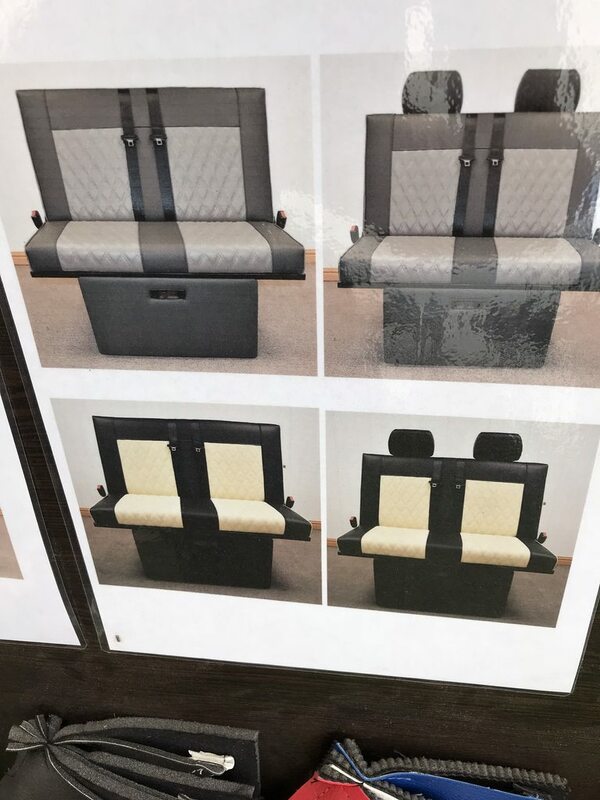 It is accessed by tipping the front seats backwards! They were sold in 2wd and 4wd - however the 4wd model was (I believe) diesel only and would not really be any advantage to me. Reliability is generally good - but there are two main things to watch out for. Firstly, you will read a lot online about overheating issues. 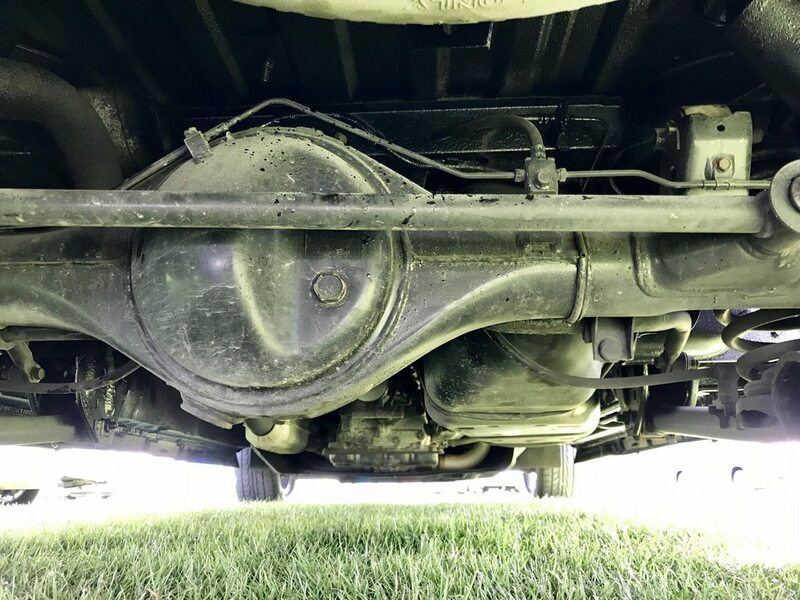 This isn't strictly the problem - the Bongo uses a lot of metal coolant pipes which (if left unchecked) can rust and spring leaks. The diesel models seem to suffer most as they are quite easy to blow the head gasket on and even warp the head. The petrol models are a lot more resilient. 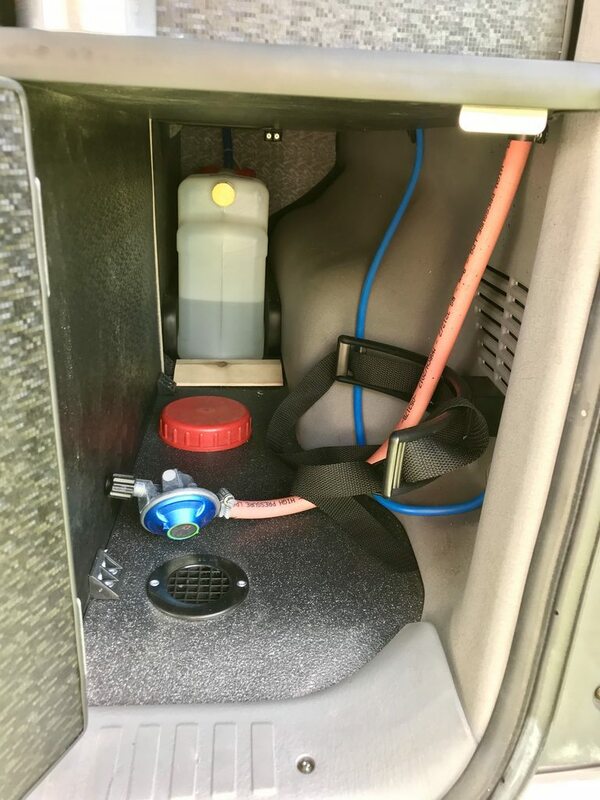 An essential addition is a low coolant alarm - which will alert you before any damage is done. 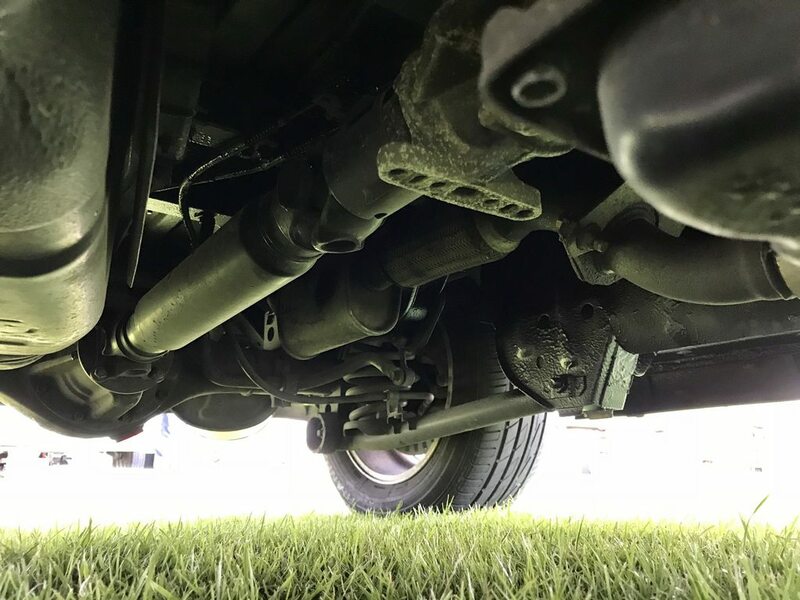 The second is rust - as with any Japanese domestic market vehicle, their underbody protection is very limited compared to that of UK cars (I don't think they use salt on the roads there). So it is essential that the Bongo is undersealed as soon as it comes to the UK and is kept on top of. 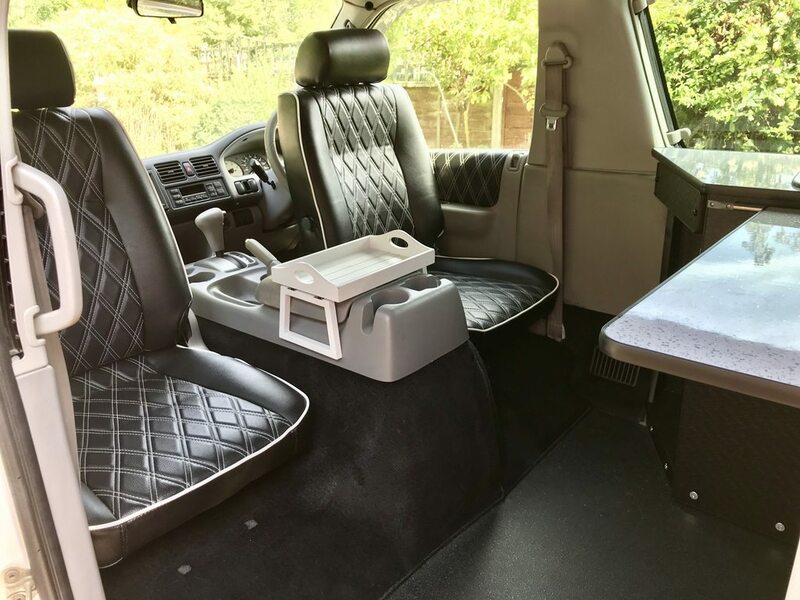 My plan was to buy a good solid unconverted van, then get it converted to my specification. 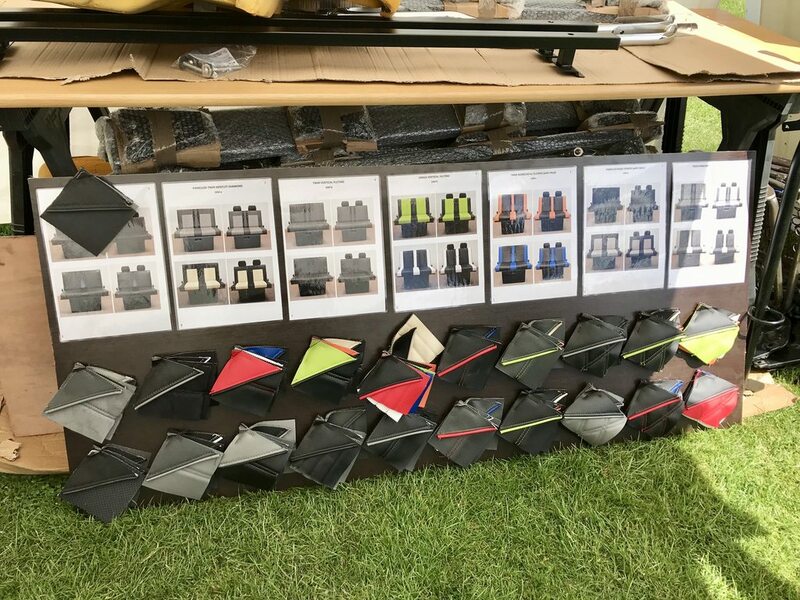 The electric AFT roofs are initially a very attractive prospect - but the more I read, I came to the conclusion that it wasn't a deal breaker if I ended up with a tin top - as the youngest Bongo is over 12 years old now and the canvas and electric motors would be showing their age by now. You do hear of issues with the roof motors and their associated micro switches and I didn't fancy being stranded with the roof stuck up! In terms of a conversion - I was dead set on a side conversion. 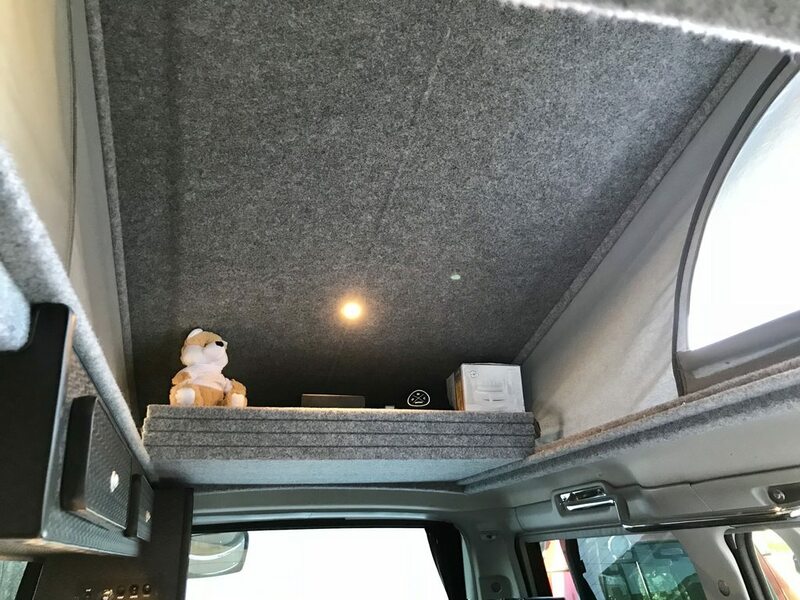 This is where a long unit is installed in one side of the van which encloses a hob, sink, usually a fridge and some storage. 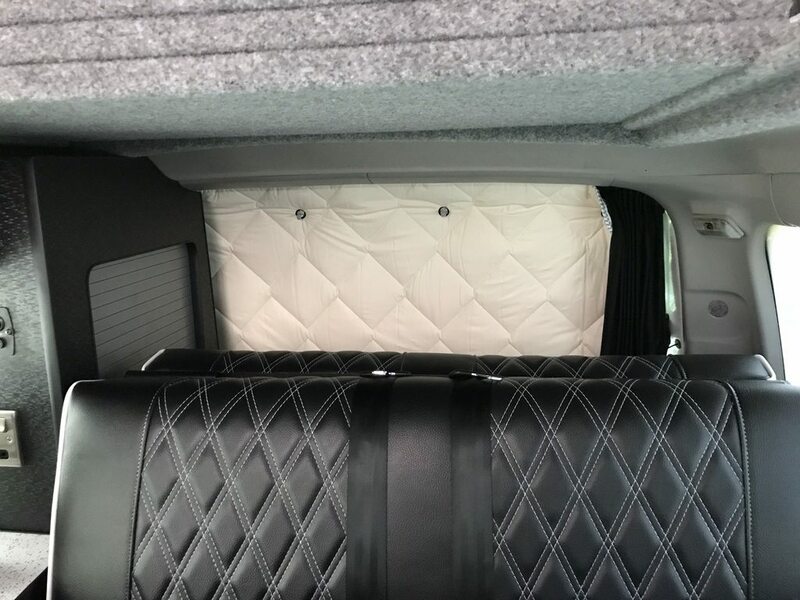 Some conversions allow some of the rear seats to be left in, however I wanted a rock n roll bed - which is a pair of seats during the daytime, and pulls out to become a bed which is flat unlike the original seats. 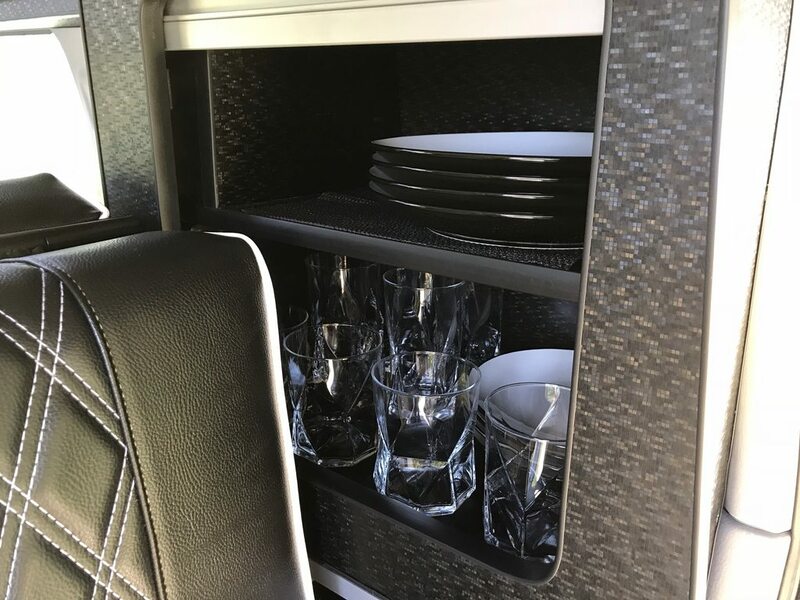 I also have an issue with the finish on the units - virtually all camper conversions and most caravans seem to have a beech wood veneer finish. I'm 25 ... I am not ready for beech wood veneer. I would sooner have one of the glossy Zebrano type wood finishes or maybe something that wasn't pretending to be wood at all. Bongo Bash ... yes - BONGO BASH! 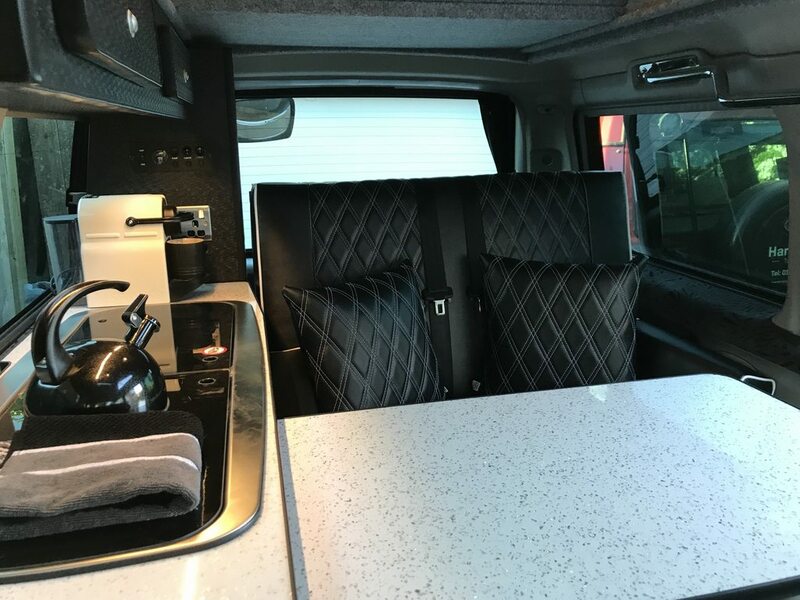 However, he said I would be welcome to come along as a visitor to meet him and have a look at a couple of their conversions with the added benefit of a field of other Bongos to have a look at. 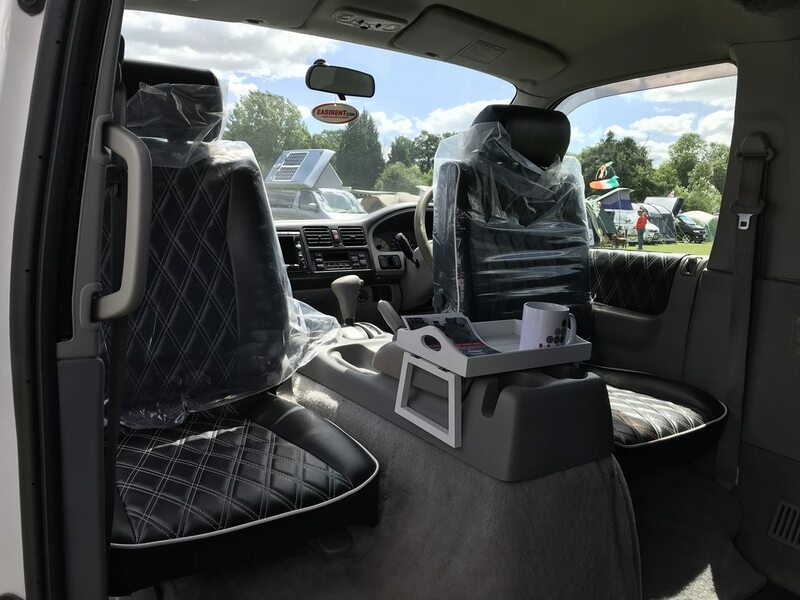 I arrived at the site and was directed over to the New Dawn Conversions stand - I met Den and rattled through my huge list of questions - he was busy doing swivel seat conversions but made time to speak to me. They offer two types of side conversion - The Jill conversion is the traditional side conversion which I had been looking at. However they also offer the Dawn conversion which is very slightly more expensive, but makes excellent use of the space. 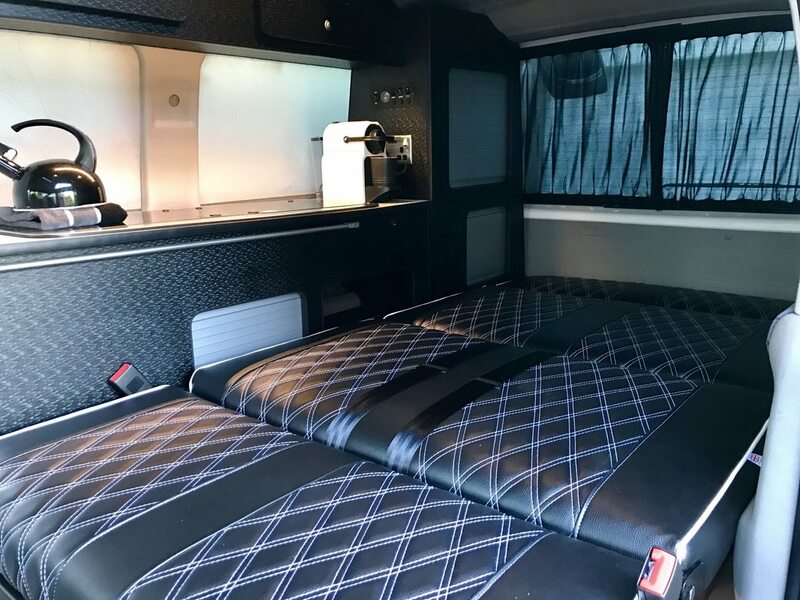 The side unit is slightly shorter and angled at the end - meaning that the fridge faces forwards and can be accessed when the bed is out, the shape of the conversion means the driver's seat can be fitted with one of their swivel mechanisms - so you have both front seats turned round into the living area, as well as seating for two on the rock n roll bed. 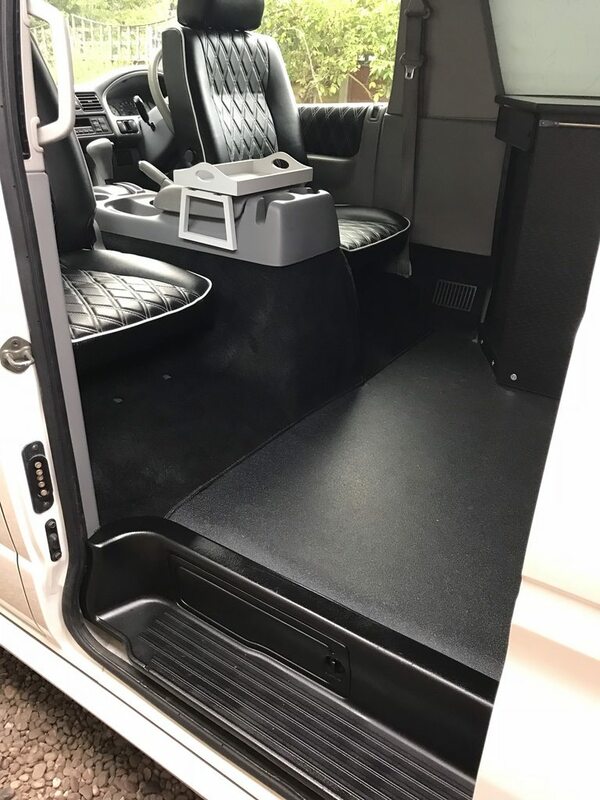 No other company does any kind of swivel seat for them - so the living space in their conversions is considerably bigger than any other. 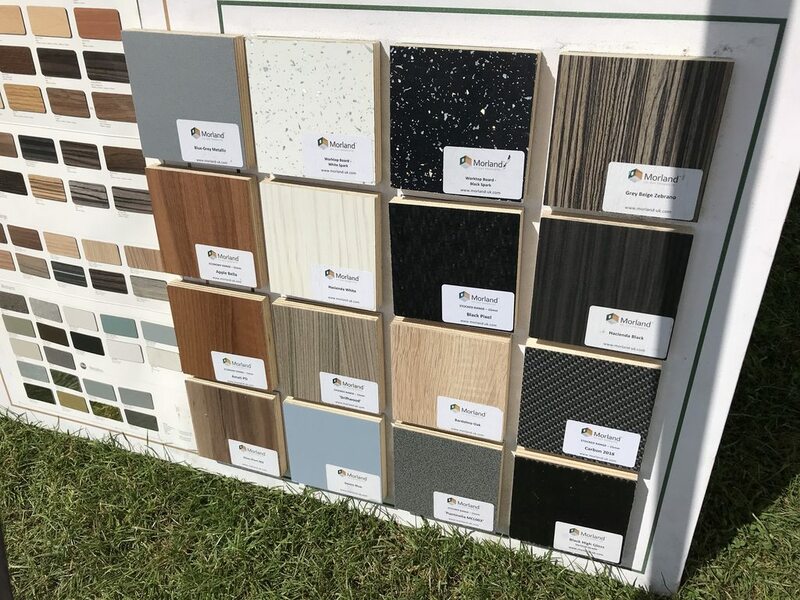 Their stand had a display showing the different materials the rock n roll bed could be finished in, the finishes for the surfaces and the flooring. I decided against the suede type materials as you are cooking directly next to the seat and it would be ruined with even a few splatters. -Major service done, timing belt changed and the whole vehicle has been comprehensively undersealed. Fresh MOT. -Swap loom to run various ancillaries from the leisure battery when parked up - in my case 12v sockets and the radio. - breakers etc like in the house. Enables use of 240v devices. Charger unit which keeps the leisure battery topped up while on hookup. 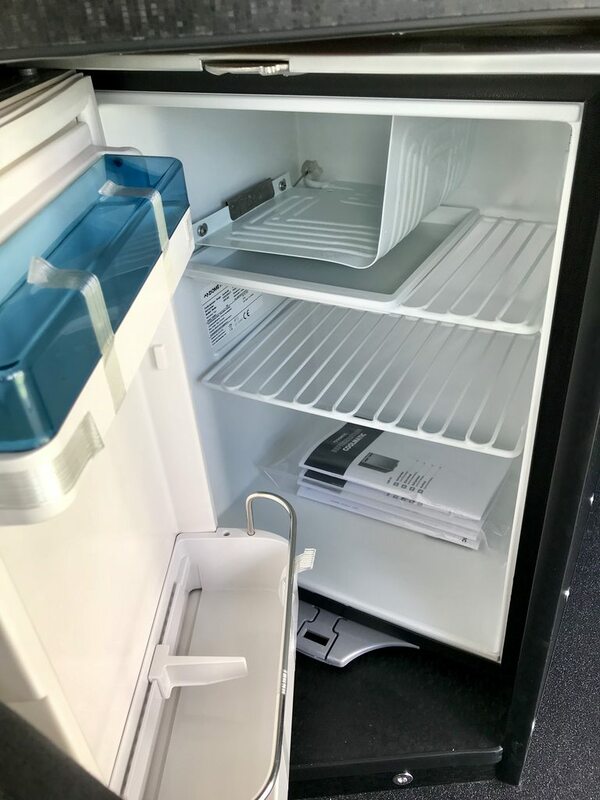 -Dometic compressor fridge with freezer box. 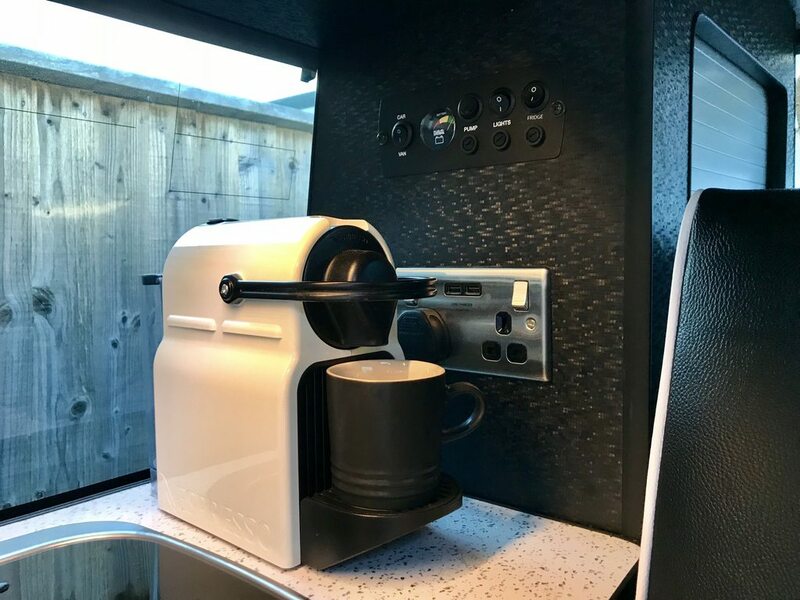 I didn't realise at the time, but these are £600+ and are far more efficient than the usual type used in campers - in simple terms it keeps beers cold for longer when not on hookup. -Collapsible table in matching 'white spark' finish. 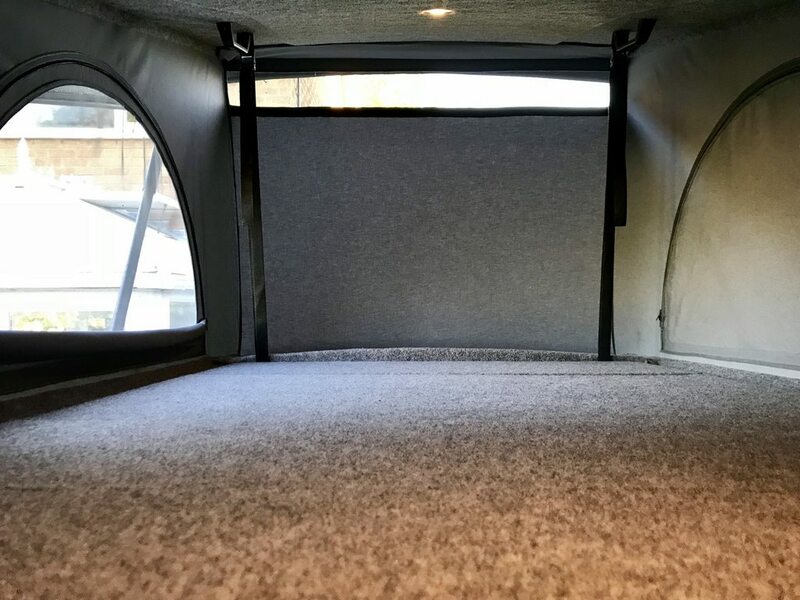 -Newly fitted pop top roof with 3 windows with fly screen material and optional bed boards for sleeping accommodation up top. In contrasting black - something I really like. It also has two LED spot lights. -Hayden coolant alarm - as previously mentioned, very important. Being Japanese, they stack them with kit far more than the equivalent European vehicle would have had. 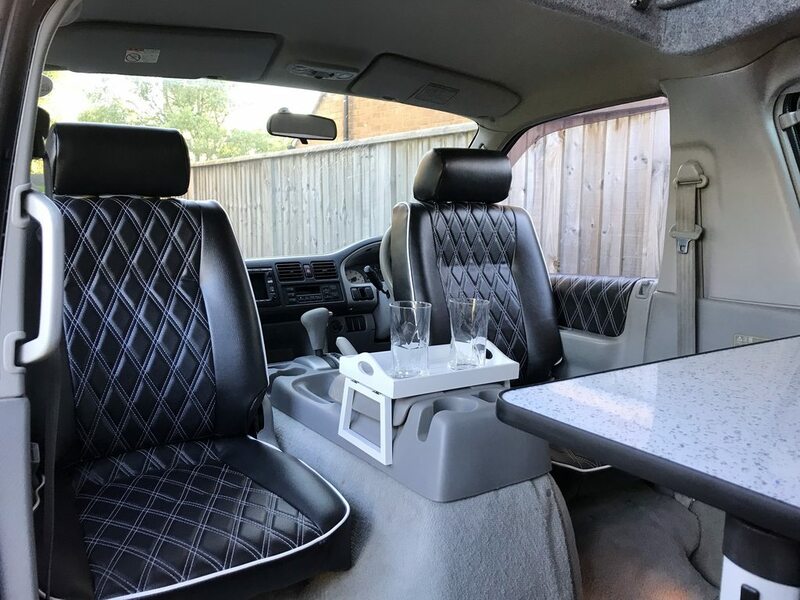 It's got air conditioning front and rear with climate control, electric folding mirrors and came with a totally incomprehensible stereo with TV, sat nav and reversing camera. Some of the VW's I looked at didn't even have electric windows! 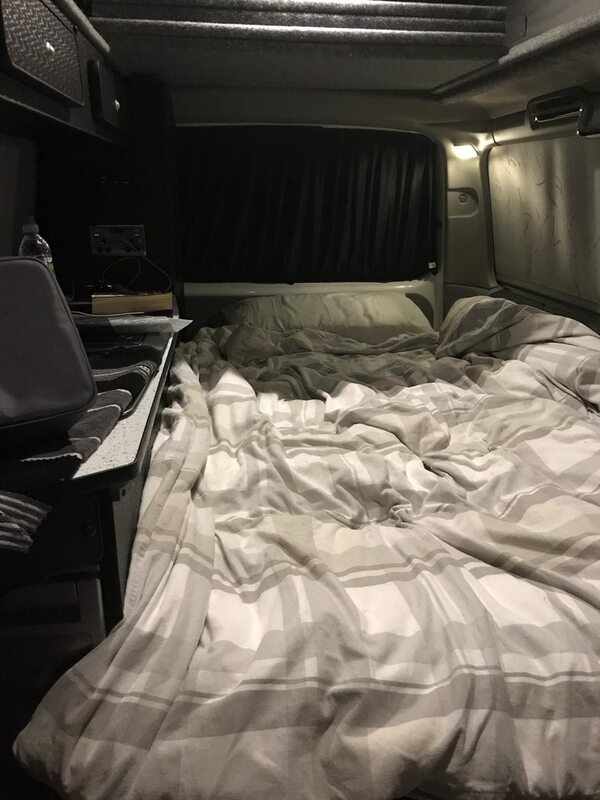 Some pictures of the van when I viewed it. Naturally I had to sleep in it on the drive! -Ridgemonkey - an enclosed pan you can cook a full english in, without oil - and no splatter! Picture below. 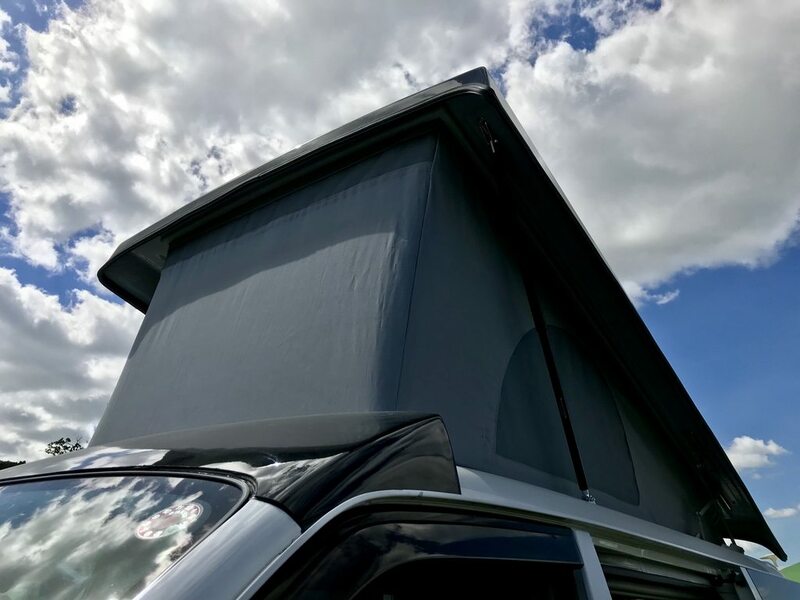 -Khyam Motordome Tourer Quick Erect Drive-away awning. 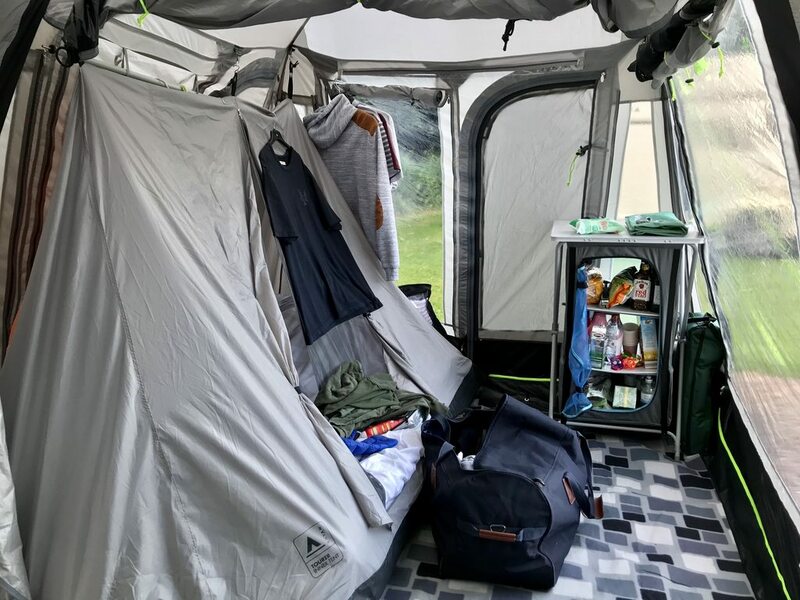 Massively increases your space, connect/disconnect in 30 seconds and has a 2 man tent inside which allows me to go away with friends whilst retaining my own space within the van. Picture below. -Thetford Portapotti. 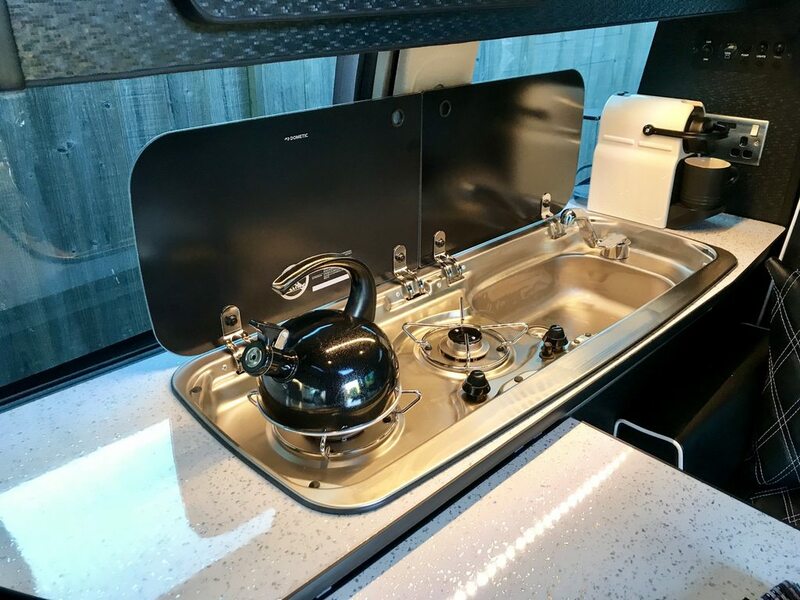 Yes, it's a delicate subject, but campervans don't have built in toilets. The festivals I've been to have all had toilets provided in the camper field - but you never know how far they will be, or whether they will be clean (they all have been so far!) so I much prefer to have the option to use my own facilities. It has a flush and proper sealed waste cassette. Thankfully - no picture below. -Solar. Before my first festival, I was worried that my leisure battery might not last from Thursday until Monday left to its own devices. I bought a 100w solar panel and charge controller from Amazon. Its a big hefty panel which I stand in front of the van. I would have gone for a roof mounted solution - but I was reluctant to drill holes or put sealant on my brand new roof. The other reason is that the roof tilts - so unless you happen to park in the right direction, it misses the sun! 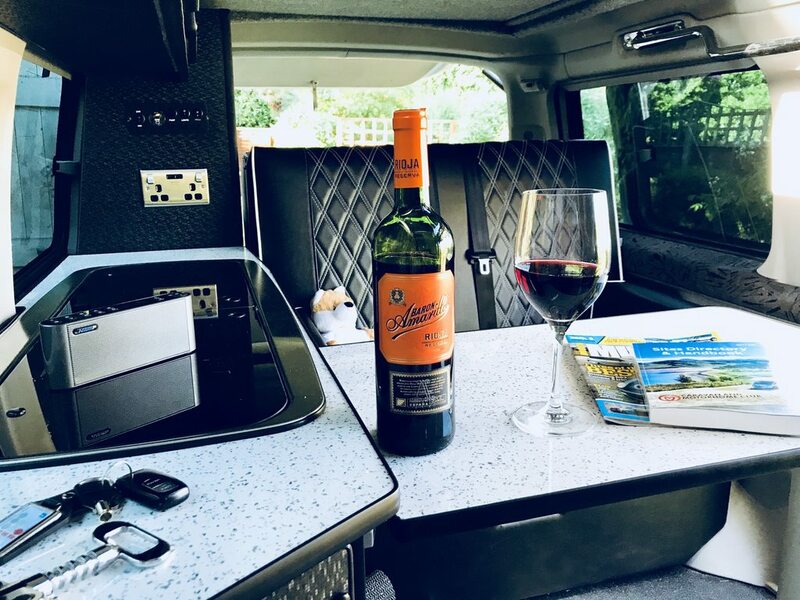 Anyway, the panel I have performs really well and keeps the battery full all the time - at one of the festivals I had parked with my Dad and family in their caravan - I very quickly had teenagers charging their phones off my van! As you've probably noticed - I'm not willing to do things by halves and this applies to tableware - I cannot stand plastic cutlery, cups or plates. 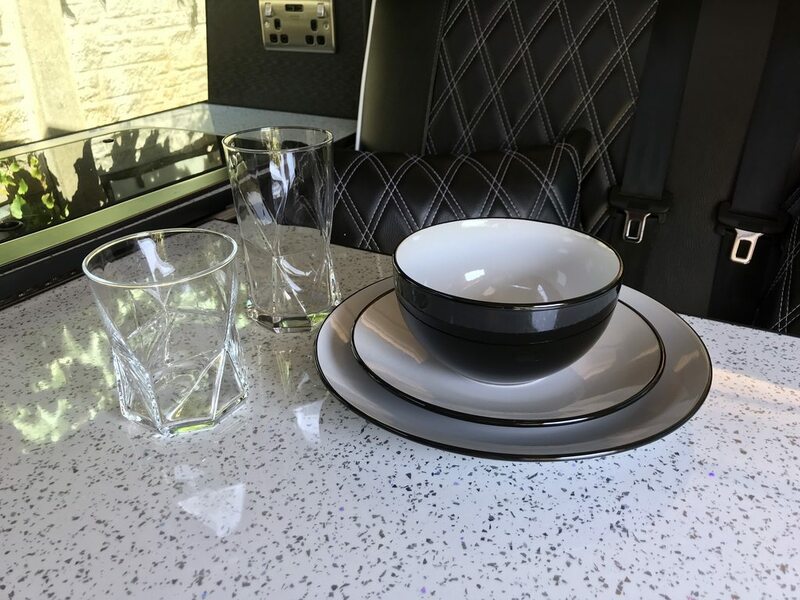 So I hit TK Maxx and filled the van with proper plates, glasses and cutlery. One of the first things needed were some covers for the front windows which don't come with blinds like the side windows. I went for some insulated window shades with suckers. They totally block the light out and one unexpected advantage in the summer is that they reflect the heat back out. One of the main modifications I wanted to make from the start was to change the wheels. By Bongo standards - my wheels were pretty decent, but I wanted to leave people in no doubt that this was a younger person's camper. 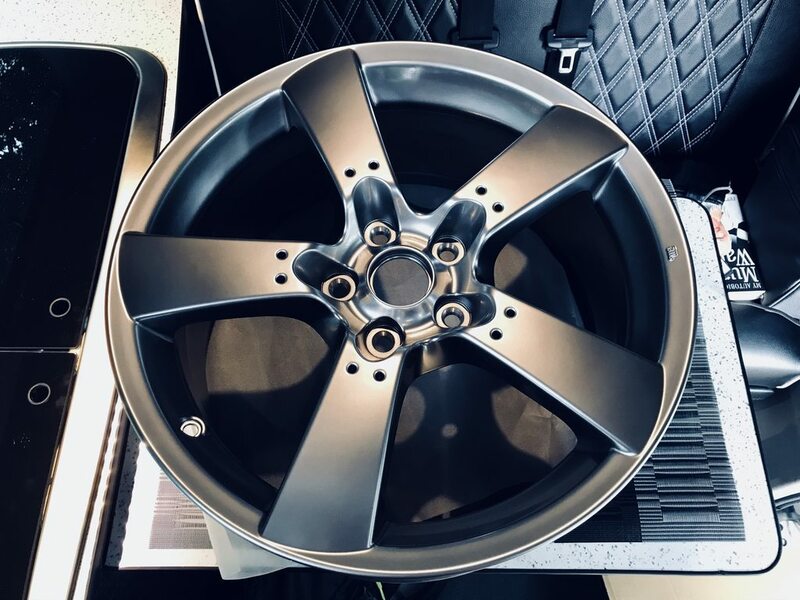 I went for RX8 18" wheels which are a direct fit - however the Bongo required a higher profile tyre, so any I bought would need a new set of tyres. I found a set on eBay which were brand new, still in boxes with mazda stickers on them. I wasn't keen on having them shipped due to the risk of damage and they were near Manchester - so I made a trip out of it. 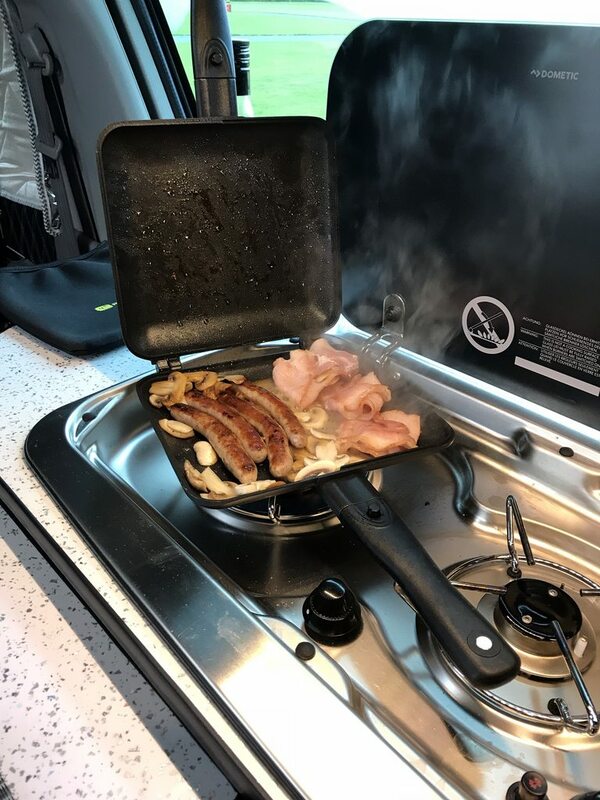 I drove to the peak district for the day, then moved on to pick up the wheels and finally drove back down into the peak district where I stopped at a camp site over night and went for a nice meal. The original radio was all in Japanese. 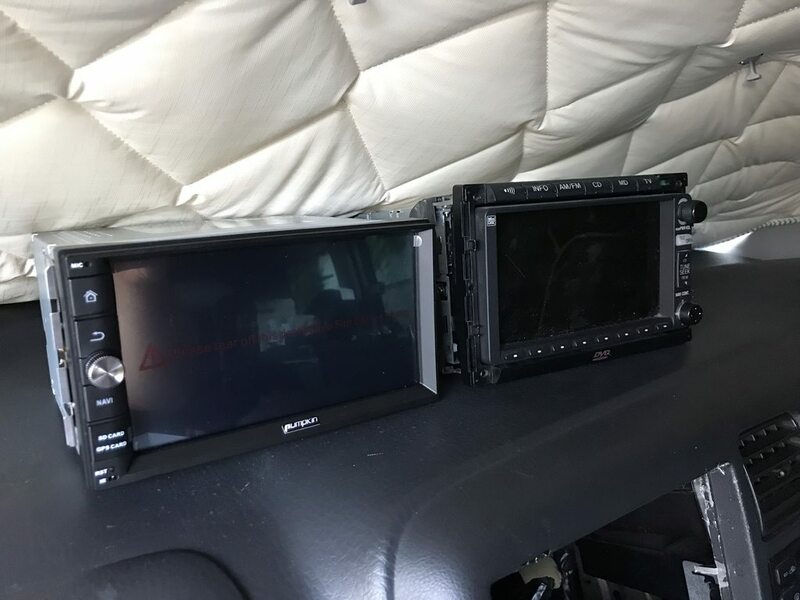 It used to have TV but that was analogue, and the sat nav thought it was still in Japan, it also had a minidisc player (anyone remember those?!) So I ditched it in favour of a Pumpkin Android unit. Basically an Android tablet which is tailored more towards use in a car. 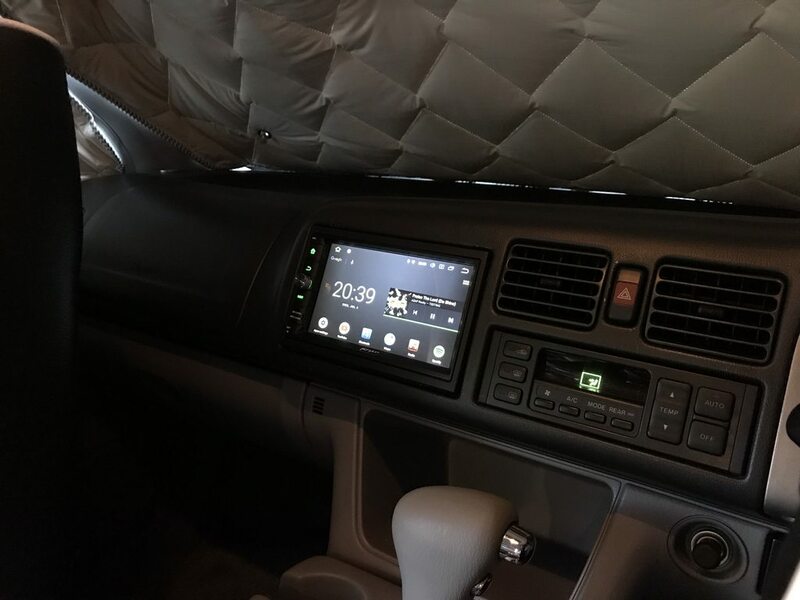 Really happy with it - I use Waze for navigation and Spotify for music. 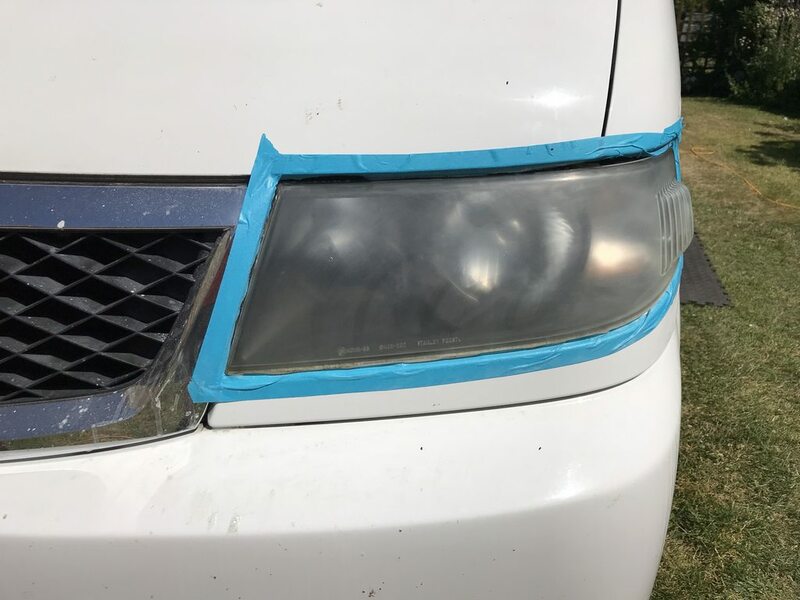 The headlights had some hazing on them - standard plastic lenses from a sunny country. So I wet sanded and polished them which really improved things. 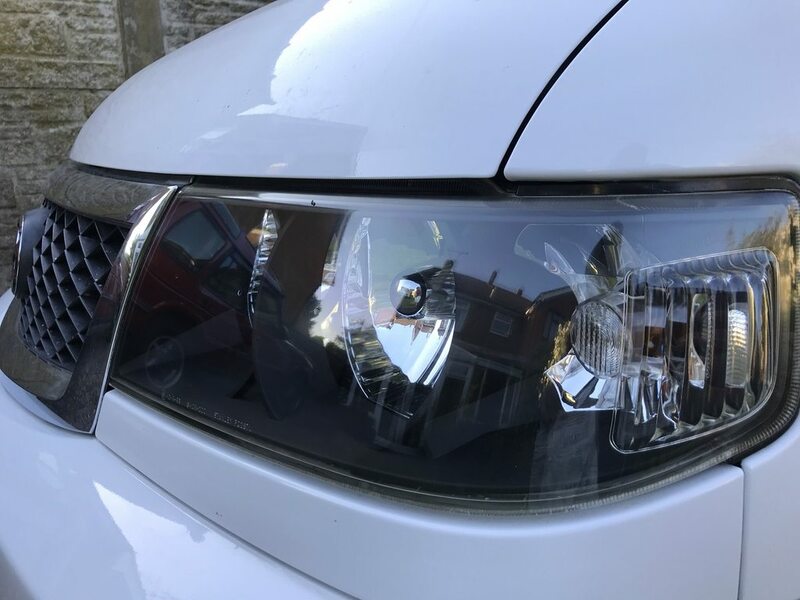 It actually has factory fitted xenon headlights! They don't have self leveling or headlamp washers which I believe are required over here - so I'm not sure how that works with our MOT regulations but other Bongo owners don't seem to have any issues. One of the few things I wanted to change inside was the front carpets - they were grey and although not really dirty - the few marks they did have were really obvious. Plus, I felt that the grey looked dated. 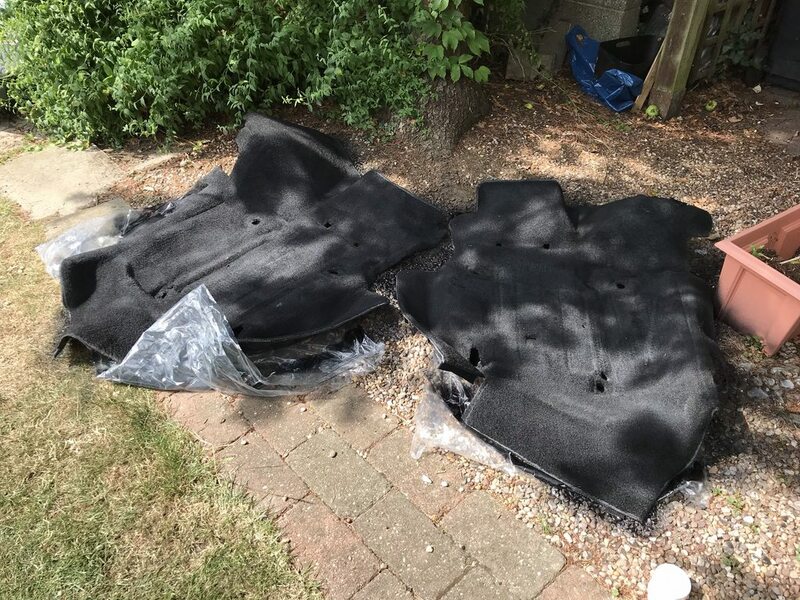 I ordered some Autoglym black dye (which I've used on my Discovery's carpets). 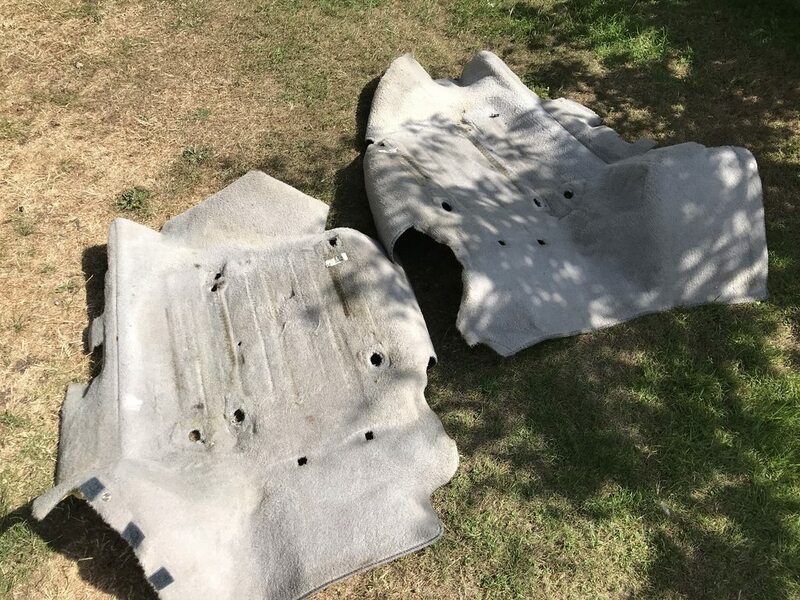 It was fairly simple to get the carpet under the front seats out - I unbolted the seats, removed the centre console (only two massive wing nuts as it has to be removed to access the engine) and pulled it out. The carpet in the front footwells was a case of removing a few trim pieces. 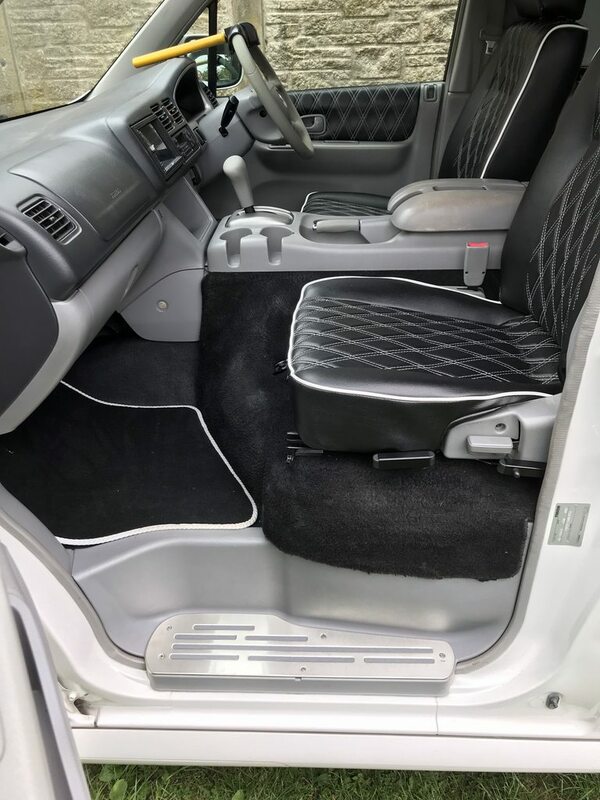 I also got hold of some fitted front mats in black with white piping (not pictured). You might have noticed that the steering wheel rim is discoloured - I tried a few things including a magic eraser, but that's just the colour it is. I put this down to being a typically Japanese low rent interior. I therefore opted for a leather stitch-on steering wheel cover. I've had one on my Discovery for years which has held up well. So I tried to remember my high school textiles skills and sewed it on. I stabbed myself so many times but it was worth it. My slightly obscure fleet crammed in! I've done a few music festivals and several trips away this summer and it has been absolutely fantastic - the fridge has been fully stocked with beer and bacon! This is the inside of the awning when I went away with one of my friends in September. Notice the drinks cupboard! 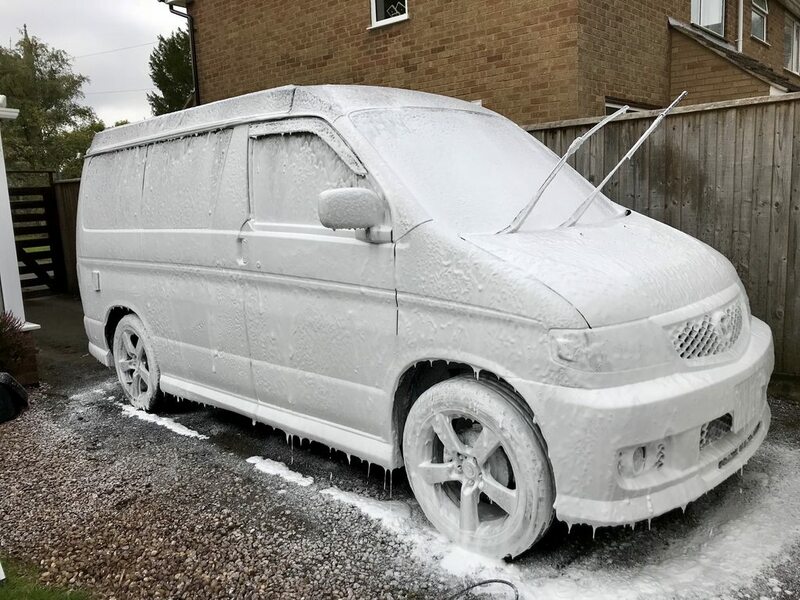 After getting a new pressure washer, I could finally use my snow foam lance again - so the Bongo got a well earned spruce up. I hope this was informative for the people that asked for it - and anyone else who has made it to the end - thanks for looking! Last edited by jbenekeorr; 06-10-2018 at 09:21 AM. Thats superb! Not sure were this can go as to me thats perfect. 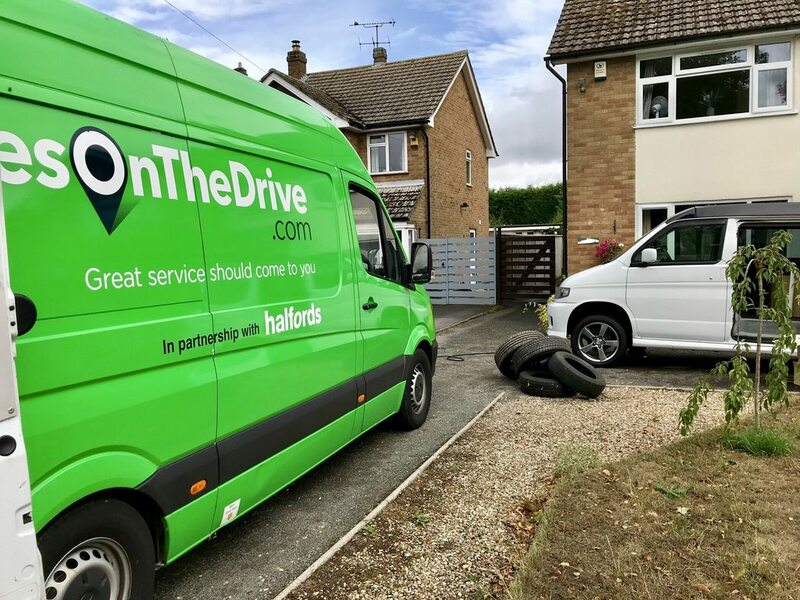 I'd love a van next - binned off the idea of a VW for the same reasons. Travelling around the south island of NZ in a 20 yr old Toyota Town-ace converted me to Japanese. Wow. What a great comprehensive write up. Thank you for posting. I really enjoyed reading that. What a great read, I had to scroll down for a quick glance at the photos though as the suspense was killing me. I know my brother has been thinking about a camper van but fears the VW cost so I must show this to him. Great thread. You are living my dream. 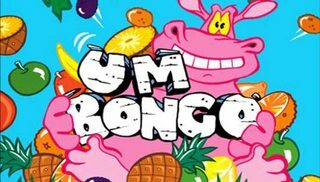 The bongo looks amazing. The interior colour scheme is perfect. Enjoy it buddy and thanks for sharing.